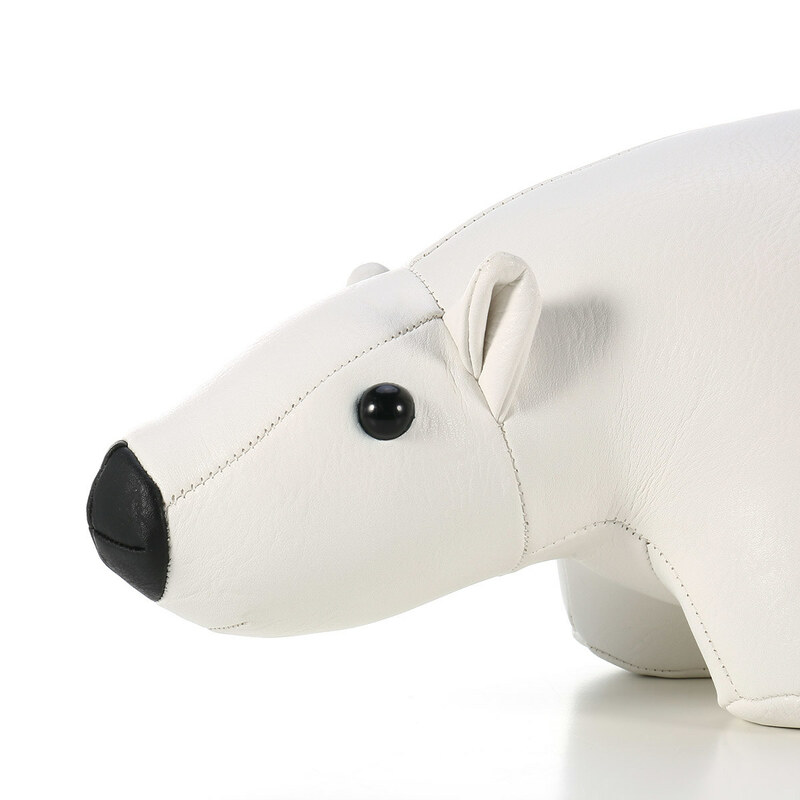 The white bear door stop has a leather surface which is meant to protect your floor from scratches. 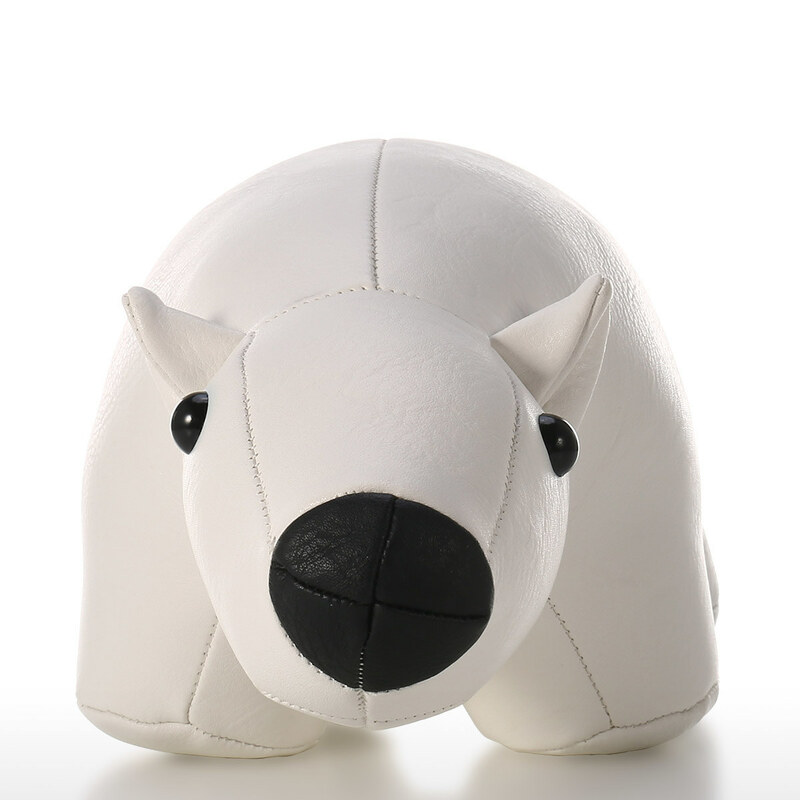 The white bear is filled with PP cotton and quartz sand inside, so it is heavy to hold the door open with ease. 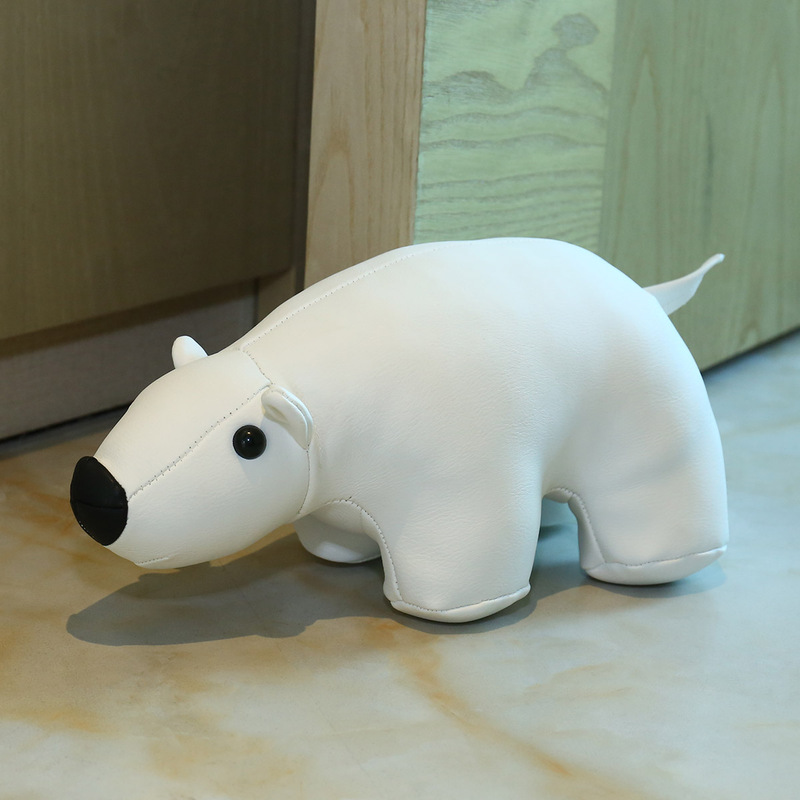 This animal door stopper also can be regarded as a toy for fun. 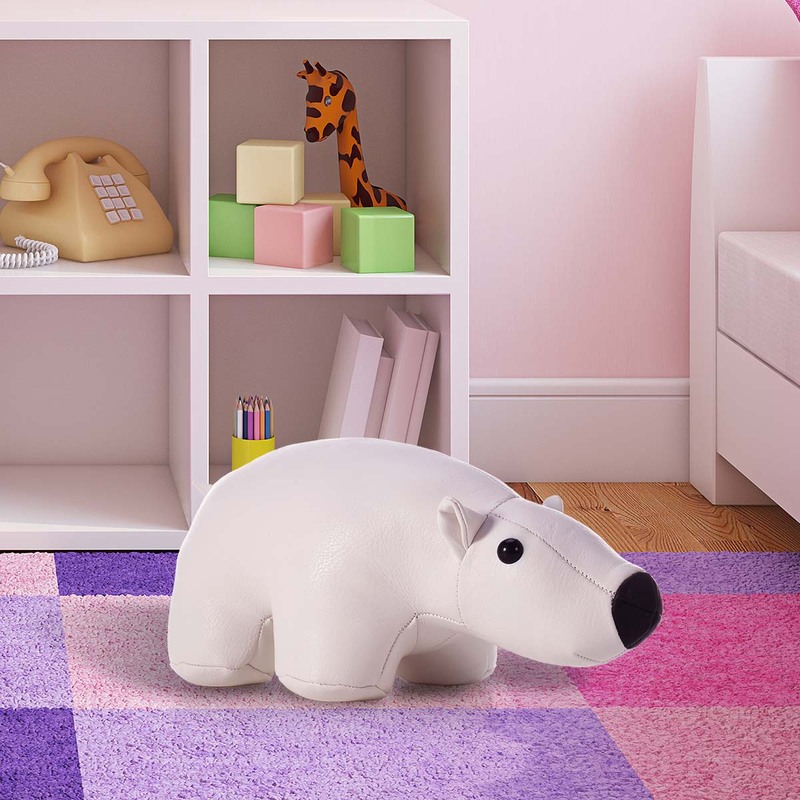 The bear door stopper can be used in your bedroom, kid’s room or play room. 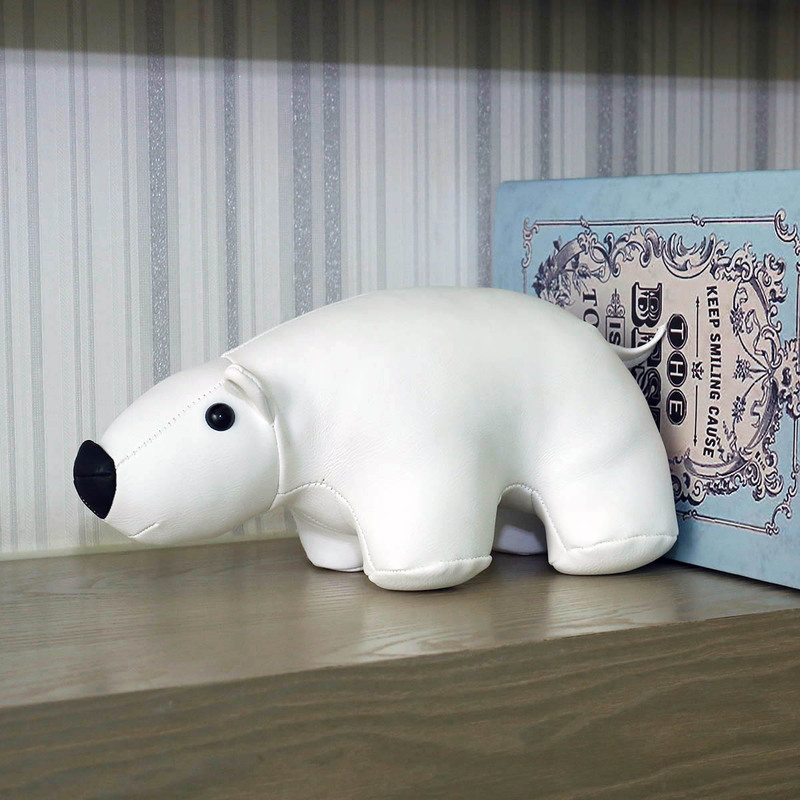 It is a perfect toy gift for kids or practical door stopper for family. 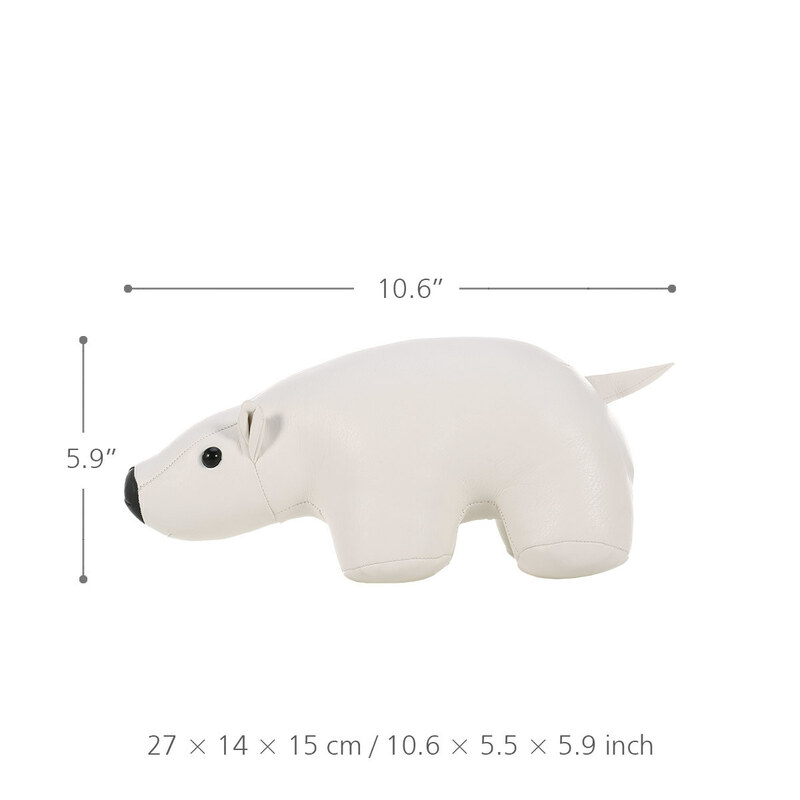 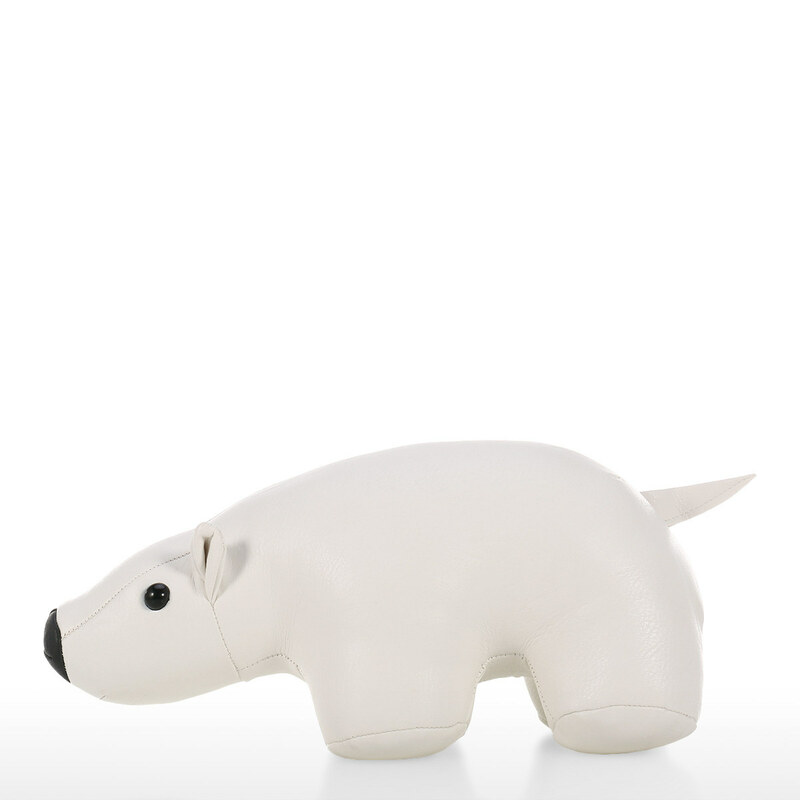 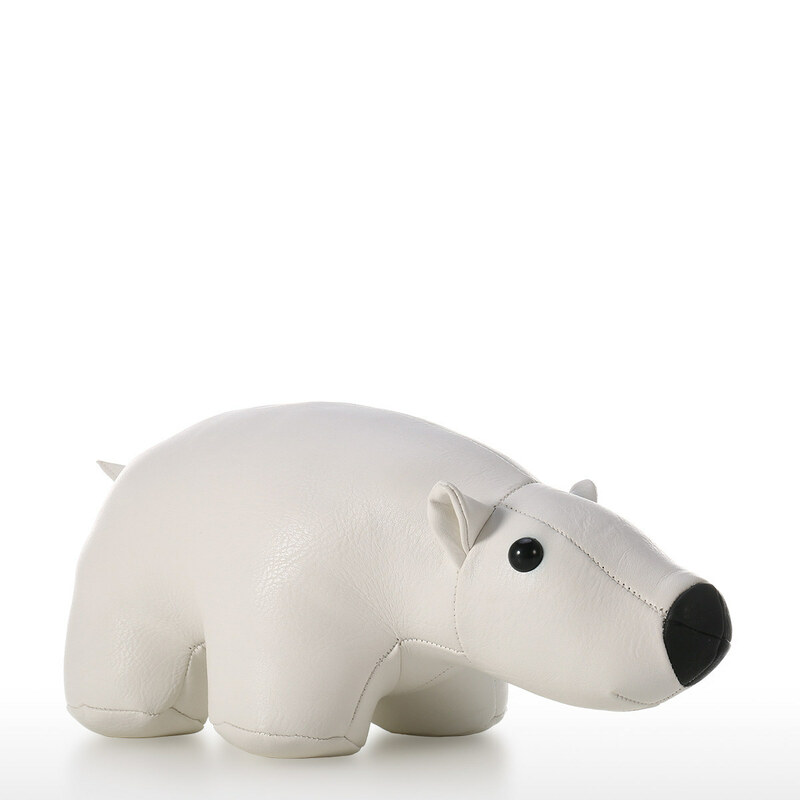 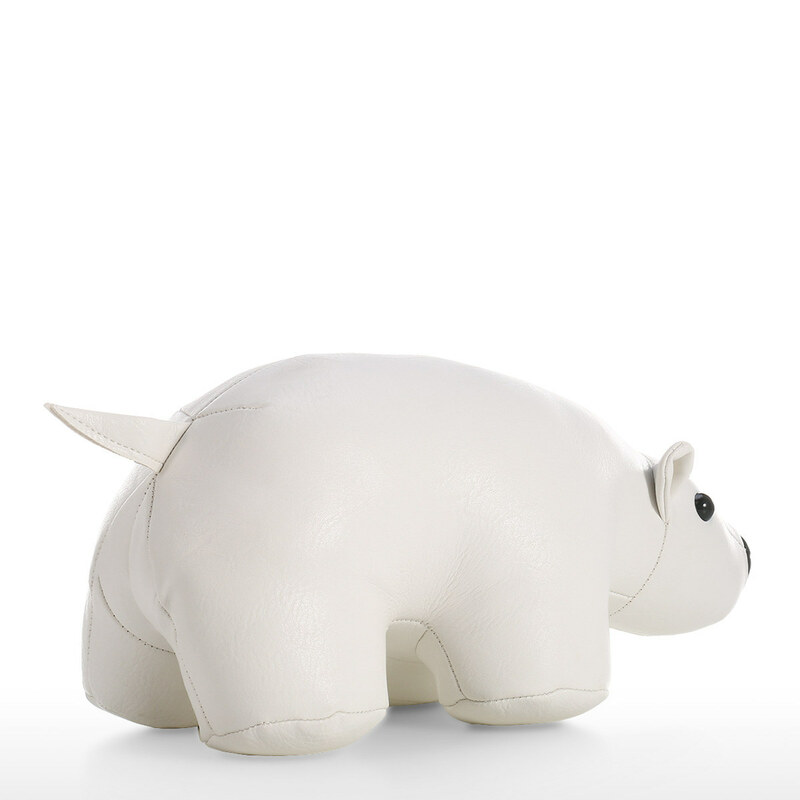 Convenient: The white bear doorstop has a leather surface which is meant to protect your floor from scratches. 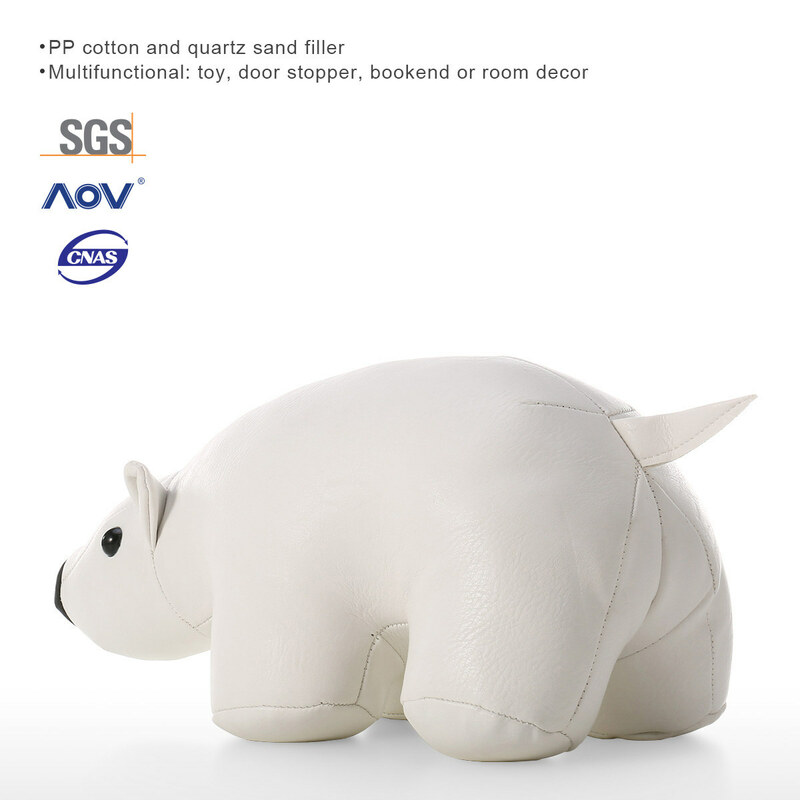 Heavy duty: The white bear is filled with PP cotton and quartz sand inside, so it is heavy to hold the door open with ease. 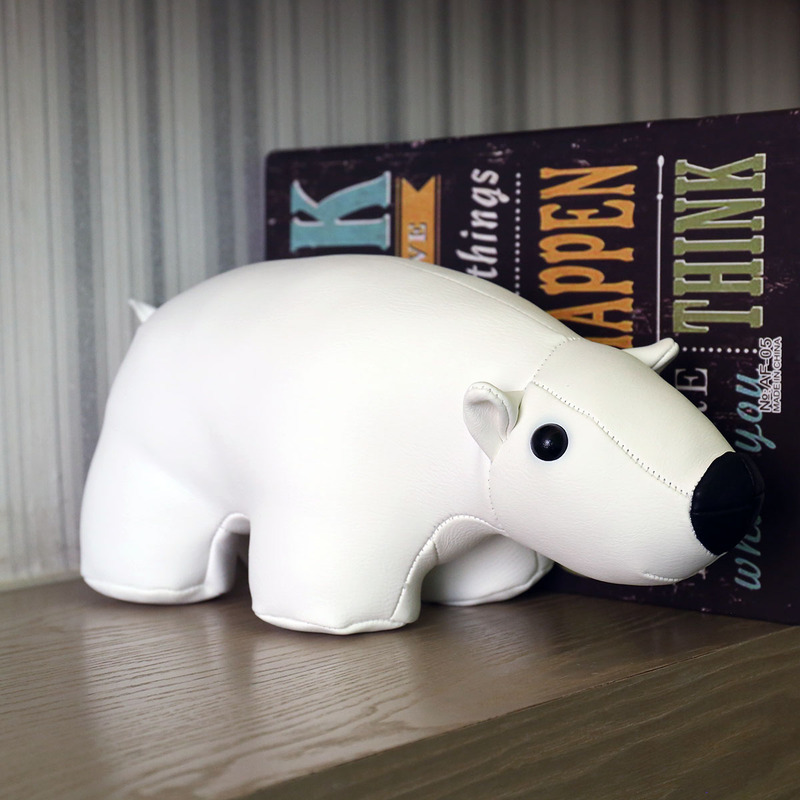 Multifunctional: It can be regarded as a toy for fun, or bookend and door stopper tool. 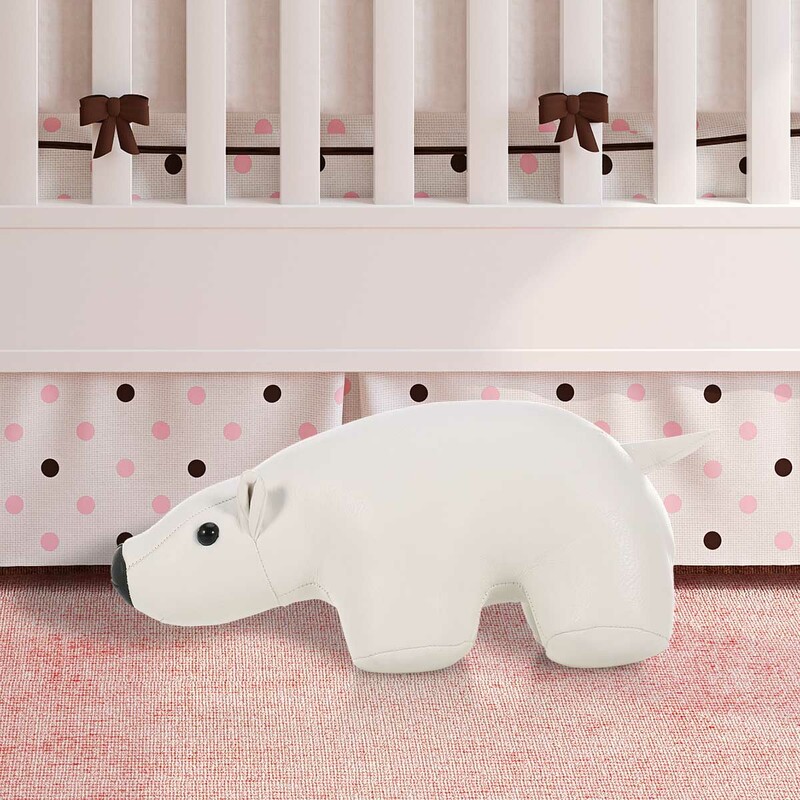 Wide use: The bear door stopper can be used in your bedroom, kid’s room or playroom. 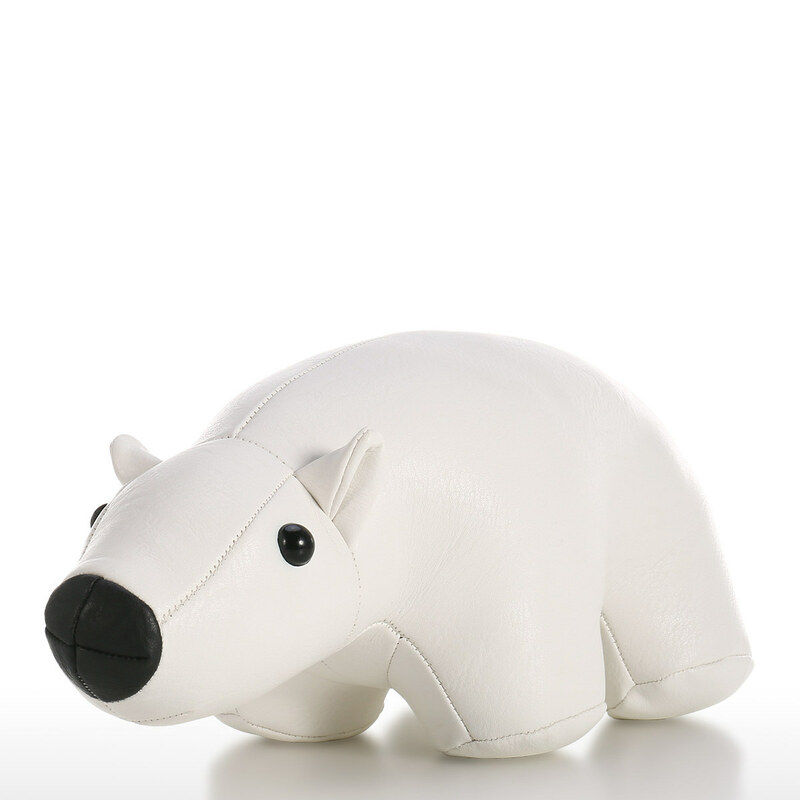 Ideal gift: It is a perfect toy gift for kids or practical door stopper for family.